Borderlands has always been famous for its unforgettable intros. Hearing Cage the Elephant’s Ain’t No Rest for the Wicked play while Lilith, Mordecai, Brick, and Roland strut their stuff is a treasured memory of many Borderlands fans, and now Redditor McArctico has given Apex Legends the Borderlands intro treatment too. The main cast of the game show off their runnin’, gunnin’ prowess in their video, which you can watch right here - and you should prepare to get a serious nostalgia hit from hearing Ain’t No Rest for the Wicked again. Borderlands’ trademark intro made the game stand out from the very start, with Gearbox’s tongue-in-cheek approach to getting us acquainted with the four Vault Hunters quickly becoming a continuing theme for the entire franchise, and it really, really works for Apex Legends. 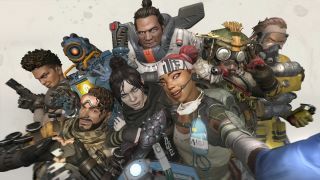 What makes it such a no-brainer is that Apex Legends has Borderlands’ same strong cast of core characters with unforgettable personalities and playstyles, with Pathfinder’s cheery disposition being just as memorable as Maya’s sarcastic tendencies. Apex Legends has already been making the most of its cast of characters with its killer Finishers, and has an intro that gets that spine tingling - but I don’t think anyone would say no to a cinematic that shows the Wraith, Gibraltar, and co. displaying their fighting prowess. Especially if we get some slo-mo shenanigans. Let’s also hope that Borderlands 3 has the same hair-raising intro cutscene as its predecessors too… no pressure. Want more Apex Legends goodness? Here’s some Apex Legends tips to get you closer to that coveted Champion commendation, or look below to see the tips in video form!